As the head of Freedom House, a CIA-interlocked think-tank  that promotes free markets, free enterprise and free trade, Peter Ackerman has been at the forefront of efforts to topple foreign governments that place more emphasis on promoting the welfare of their citizens (and often their own bourgeoisie) than providing export and investment opportunities to US corporations, banks, and investors. An ex-Wall Street investment banker who was once junk bond trader Michael Milken’s right-hand man, Ackerman’s speciality these days is regime change civil disobedience – training activists in the use of civil disobedience destabilization techniques to bring down foreign governments. Ackerman and other civil disobedience imperialists, like Stephen Zunes, a self-styled progressive who acts as chief apologist for Ackerman among leftists who have romantic illusions about “popular” uprisings  give their efforts to topple foreign governments the deceptively reassuring name “democracy promotion.” Democracy promotion, a Bush administration official once said, is a rubric to get people to support regime change that cannot be accomplished through military means. Zunes has also sprung to the defense of Gene Sharp, the head of the Albert Einstein Institution, who advised right-wing Venezuelans on how to use civil disobedience to overthrow Hugo Chavez. More than two years ago, in a March, 2007 interview in The Progressive, Sharp, who says he has been working since 2004 with Iranian dissidents on how to bring down the government in Tehran, predicted that “if somebody doesn’t decide to use military means, it is very likely that there will be a peaceful national struggle there.”  In the same interview, Sharp set out his view on how the US should topple governments on its regime change hit list: by using overthrow movements trained in nonviolent direct action, rather than military intervention. This is a view supported by his chief defender, Zunes, who thinks imperialism through non-violence is somehow not imperialism. Three years ago, and not long after the election of Mahmoud Ahmadinejad, Ackerman, along with Ramin Ahmadi, co-founder of the US State Department-funded Iran Human Rights Document Center , sketched out a scenario of Iranians using civil disobedience to topple the Iranian government. Iranian society hadn’t plunged into despair, at least the large majority that elected Ahmadinejad hadn’t. Instead, it was the losers, “Iran’s parliamentary reformists” and the wealthy, Western-educated Iranians they represented, who were in despair. In Ackerman’s and Ahmadi’s view, this stratum, a budding comprador class, was equal to Iranian society as a whole, rather than a minority whose interests were about to be curbed by the newly elected president. Looking ahead, Ahmadi and his Freedom House co-author, pointed to “a grass-roots movement…waiting to be roused in Iran,” that would “demand real economic reform,” so long as “its cadres” were provided “a clear strategic vision and leadership.” “Grass-roots” by Ackerman’s and Ahamdi’s restrictive definition, was anyone targeted by Ahmadinejad’s redistribution and capitalist-curbing program. “Economic reform” was giving capital free rein. To help Iran’s disgruntled budding comprador class, the pair urged “nongovernmental organizations around the world” to “expand their efforts to assist Iranian civil society, women’s groups, unions and journalists. And the global news media,” they wrote, should “cover the steady stream of strikes, protests, and other acts of opposition.” In other words, the media should play a role by depicting the Iranian government as deeply unpopular to justify its overthrow. Significantly, organizations like Freedom House, ICNC, and the Soros Open Society Institute, operating on grants from Western governments, parliaments and corporate foundations – all of which were opposed to Ahmadinejad for his asserting Iran’s right to a self-reliant civilian nuclear power industry and refusal to accelerate the sale of Iran’s state-owned economy to private investors — would provide the strategic vision, leadership, as well as the money and training, for Ackerman’s and Ahmadi’s slumbering grass-roots movement. On February 15, 2005, then U.S. Secretary of State Condoleezza Rice added $75 million to the $10 million already earmarked for U.S. government programs to “support networks for Iranian reformers, political dissidents and human rights activists.” Two-thirds of the additional funding was to be used to “increase television broadcasting to 24 hours a day all week in Farsi into Iran.”  The purpose of the broadcasting was to sour the population on the Ahmadinejad government. The country was soon awash in regime change funding, a cornucopia that led some opponents of the government to beseech the United States to tighten its pursue strings. The funding, they said, made all opponents, especially those with Western contacts, appear to be potential conspirators. The group added that “no credible civil society member would want to be associated with such a fund.”  But there were many non-credible ones that did. Where the color revolutionaries and Solidarity are similar is in serving as the vehicles of the same class. Solidarity was quickly hijacked by anti-communist intellectuals who provided the strategic vision and leadership, with the help of financing from Eastern European émigrés assisted by the CIA. They had no interest in helping the Polish working class, which remained solidly committed to socialism. They sought, instead, to destabilize the Polish government. Likewise, Ackerman’s and Ahmadi’s slumbering “grassroots” movement has been roused by civil disobedience regime change promoters from outside and wealthy locals who have soaked up pro-imperialist values while studying abroad. They’ve taken a leaf from Western-backed color revolutions carried out in other countries, ones Ackerman and company have been instrumental in promoting. Their interest lies not in the social welfare of the majority of Iranians, who appear to have voted for Ahmadinejad, but in destabilizing the Iranian government to serve their own narrow class interests. Many leftists have turned a blind eye to the class character of Ackerman’s and Ahmadi’s “grassroots movement,” as well as to the source of its strategic vision and leadership. They have done so out of infatuation with the romance of a seemingly popular uprising, dislike of Ahmadinejad’s social conservatism, and the mistaken belief that the uprising is about democracy and human rights. The “grassroots” movement is hardly grassroots, and its goals are hardly the lofty ones leftists have attributed to it. They are, instead, the goals a wealthy former Wall Street investment banker turned regime change promoter and Washington-insider and wealthy Iranians who have studied at expensive universities in the imperial center, are able to share in common – toppling a government that stands in the way of their mutual enrichment. Ackerman’s ICNC also held at least one session with opponents of the Ahmadinejad government, using members of Otpor, the Serb destabilization group trained, funded and equipped by the US government in techniques developed by Gene Sharp, as trainers. 1. Noam Chomsky and Edward Herman, Manufacturing Consent: The Political Economy of the Mass Media, Pantheon Books, New York, 1988, p. 28. 2. The Los Angeles Times, September 2, 2008. 4. Guy Dinmore, “US and UK develop democracy strategy for Iran,” Financial Times (UK), April 21, 2006. 8. The New York Times, May 29, 2005. 11. The New York Times, February 16, 2006. 13. Reuters, April 30, 2003. 14. Albert Szymanski, Class Struggle in Socialist Poland, Praeger, New York, 1984. 16. George Galloway, “I’m not a traitor…or a hypocrite,” DailyRecord.co.uk, June 29, 2009. Belarus is one of the few remaining genuine alternatives to the neo-liberal economic order. A US nurtured and bankrolled fifth column is working with Washington to topple it from within. The US government has nurtured a fifth column in Belarus to help overthrow the Lukashenko government to replace its socialist-oriented policies with a made-in-the-USA neo-liberal regime that favours US investors and corporations. The mantra from Washington, echoed by dodgy leftists close to the US ruling class, is that Belarus is governed by an authoritarian president who abuses power to win elections. As we’ll see, this is an invention used to justify US meddling in Belarus’ internal politics. What authoritarian measures the Lukashenko government have taken have been defensive reactions to blatant Western attempts to engineer a free-market coup d’etat. Contrary to the charge that he is Europe’s last dictator, Lukashenko is an elected president whose electoral victories have been based on wide popular support, earned by promoting the interests of the vast majority of Belarus’ citizens. Washington’s real grievance with the Belarusian government is that its policies are at odds with the interests of US investors and corporations. •	Not enough structural reform. •	Private companies have been re-nationalized. •	Foreign banks are virtually shut out of the country. •	US investors are barred from buying land. •	Basic goods and services are subsidized by the state. •	Retail prices are regulated. •	The government continues to rely on state-owned enterprises. •	Belarus follows active policies of import suppression and export promotion. Is Belarus under Lukashenko really as socialist-oriented as US establishment sources say? 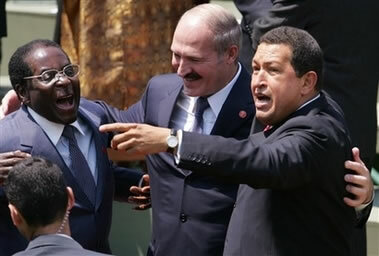 Venezuela’s President Hugo Chavez praises Belarus “as a model of a social state,” likening it to the society Chavez’s Bolivarian revolutionaries are building in South America. Chavez, who calls Lukashenko “a brother in arms”  awarded the Belarusian leader Venezuela’s highest award for foreigners, the Order of the Liberator. Lukashenko has also been awarded the highest honor Cuba bestows on foreigners, the Order of Jose Marti. Belarus retains the symbols and social supports of its Soviet past. An imposing monument to Lenin still guards the approaches to the government headquarters. Education through university is still free, and university students continue to enjoy living stipends as they did in Soviet days. Much of the economy remains under public control. Clearly, Belarus isn’t the kind of place the CEO’s, corporate board members and investment bankers who dominate decision-making in Washington can warm up to. Sure, Minsk’s policies are good for ordinary Belarusians. Basic goods and services are kept affordable, the public controls the commanding heights of the economy, and income equality is virtually unmatched in the world. But what about the interests of American investors and exporters? Where are the profitable investment opportunities? Where are the lucrative export markets? True to the game plan the US government has followed in engineering soft coups in other countries, the opposition has been given a name that underscores its professed struggle for democracy against an alleged dictatorship. While the West created the Democratic Opposition of Serbia to oppose what it called the dictatorship of Slobodan Milosevic, and the Movement for Democratic Change to oppose the misnamed dictatorship of Robert Mugabe in Zimbabwe, in Belarus the US-backed and funded opposition goes by the name of the United Democratic Forces (UDF). Its goal is to oppose and topple the alleged dictatorship, and socialist-oriented policies, of Alexander Lukashenko. The US government uses the word “dictatorship” in a unique way. Belarus is decried by Washington as a dictatorship even though the country’s political system is a multi-party democracy with universal adult suffrage. Dictatorship is to be understood in the world of Washington’s regime changers, not as rule by an individual or committee, where suffrage is absent, but as rule by elected officials the US government opposes because their policies are either immediately or indirectly at odds with the interests of US capital. Branding a socialist or nationalist leader as a dictator provides the US government with a pretext to sanitize its interference in the internal politics of foreign countries by misrepresenting its meddling as democracy-promotion. The US government has likewise tried to discredit the government of Hugo Chavez in Venezuela, referring to Chavez as a would-be autocrat, to justify nurturing and bankrolling the “democratic” opposition. Chavez, Milosevic, Mugabe and Lukashenko have all pursued policies that have rejected, in various degrees, the free-market, free-enterprise, free-trade orthodoxy Washington insists all countries (but itself) adopt. The UDF comprises 10 opposition parties and more than 200 NGOs. 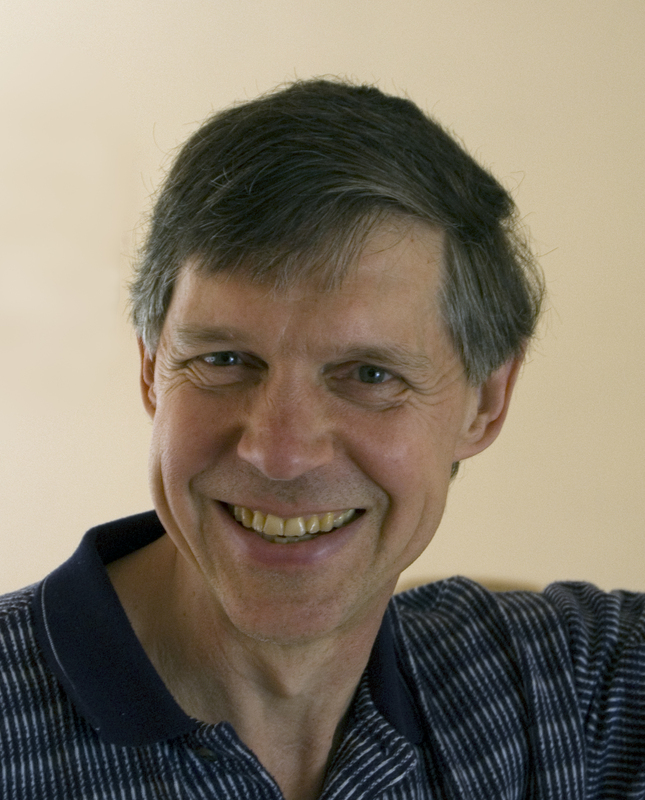 In 2005, the coalition selected Alexander Milinkevich as its candidate for president. Terry Nelson, national political director of the 2004 Bush-Cheney campaign, practically ran Milinkevich’s 2006 campaign, according to The New York Times. But help from the Republicans was not enough to overcome Milinkevich’s failure to resonate with the public. The UDF’s own polling, paid for by the IRI, “showed the ratings of Milinkevich and other opposition leaders in the single digits.”  Lukashenko won the election handily with 83 percent of the vote, a lopsided victory the US government immediately attributed to vote rigging, on grounds that no one could be that popular. But there are plenty of elections elsewhere won by higher margins which the US government has endorsed as fair reflections of the democratic will. 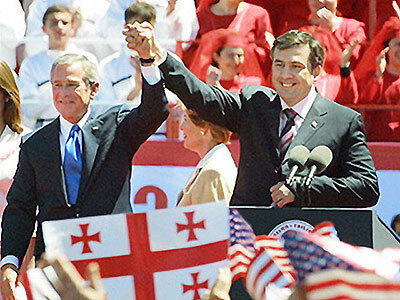 The US-educated and fiercely pro-US ruling class Mikhail Saakashvili polled 97 percent in Georgia’s 2004 presidential elections, without Washington batting an eye. Kurmanbek Bakiyev won 89 percent of the vote in Kyrgyzstan’s Tulip Revolution, without incurring Washington’s disapproval. And Eduard Shevardnadze, when he was still Washington’s man in Georgia, polled 92 percent of the vote in Georgia’s 1992 election, without repercussions. Belarus’ egalitarianism has been a particular irritant to the US government. While the Lukashenko government’s income-redistribution policies have maintained a narrow gap between the rich and poor, they have also reduced the attractiveness of Belarus to the US corporate rich as a venue for profitable investment. With a choice of serving ordinary Belarusians or catering to corporate America, Lukashenko chose the former and incurred the wrath of the latter. Along with Renaissance, Pontis, and the Eurasia Foundations, the US State Department helped found the Belarusian Institute for Strategic Studies, a think tank of pro-US ideologues prepared to disgorge policy advice congenial to the US government’s free-market, free-enterprise, free-trade ideology. When the media need quotes from “experts,” they turn to BISS. Opposition activists have unique access to high US State officials through the IRI, and have been provided a platform from which to deliver persuasive communications to a wide audience – a platform they would not have without US government influence. There are a few reasons to oppose US interference in Belarus’ democracy. Belarus is one of the few remaining places on earth in which the commanding heights of the economy are publicly owned, where robust income redistribution narrows the gap between rich and poor, where essential goods and services are subsidized so they remain affordable to all, and where education is free and university students receive a living stipend. US government interference in Belarus is not aimed at promoting democracy. Belarus already has a democracy, both in the narrow, technical, sense of offering universal adult suffrage and regular elections featuring a multiplicity of parties, and in the broader, more meaningful, sense of being a place in which the interests of the bulk of people predominate. US government interference in Belarus is aimed at the very opposite of democracy: promoting the interests of a super-privileged minority comprising US and Western investment bankers, CEOs, corporate board members, and hereditary capitalist families, who seek unfettered access to Belarus’ resources, markets, labor and public assets. Corporate America wants to own Belarus’ banks, waters, forests and other natural resources; to buy Belarus’ state-owned enterprises; to sell goods and services unimpeded by tariff barriers and unhindered by subsidies to domestic firms. It wants a low-tax environment, no restrictions on expatriation of profits, and a low-wage and biddable workforce held in check by a reserve army of the unemployed. From the point of view of the US ruling class, Belarus should be investor-friendly, not working class-friendly. US citizens and citizens of other Western countries that contribute to nurturing Belarus’ fifth column should oppose the use of their tax dollars to bring down one of the few remaining challenges to the neo-liberal economic order. Taxpayer dollars should be used to help fund public health care, provide free education, and subsidize basic goods and services at home, not to undermine working class gains abroad. 3. The New York Times, December 17, 2005. 4. Russian Information Agency Novosti, July 13, 2007. 7. Cited in The Heritage Foundation, 2007 Index of Economic Freedom. 8. The Washington Post, September 23, 2005. 9. The New York Times, January 1, 2006. 10. The New York Times, July 24, 2006. 11. The Financial Times (London), August 2, 2007. 12. The Morning Star (UK), January 7, 2008. 14. The IRI’s Belarus page describes Belarus’ type of government as a dictatorship. On the same page, under the rubric “suffrage” is written: universal, age 18. http://www.iri.org/eurasia/belarus.asp The CIA’s World Factbook lists 19 political parties in Belarus. 15. “Bringing Down Europe’s Last Ex-Soviet Dictator,” New York Times, February 26, 2006. 17. The Washington Post, March 21, 2006. 18. The Los Angeles Times, September 25, 2005. 19. Times Online, March 10, 2006. 23. “A Georgian soldier of the Velvet Revolution,” The Los Angeles Times, September 2, 2008. 25. The New York Times, February 26, 2006. 26. The New York Times, April 22, 2005. 27. Xinhua News Agency, May 13, 2005. 28. The New York Times, April 22, 2005. 29. The New York Times, January 1, 2006. 30. The New York Times, February 26, 2006. “After an initial outburst of capitalist reform from 1991-94, including privatization of state enterprises, creation of institutions of private property, and development of entrepreneurship, Belarus under Lukashenko has greatly slowed, and in many cases reversed, its pace of privatization and other market reforms, emphasizing the need for a ‘socially oriented market economy.’ About 80% of all industry remains in state hands, and foreign investment has been hindered by a climate hostile to business. The banks, which had been privatized after independence, were renationalized under Lukashenko. The government has also renationalized companies using the ‘Golden Share’ mechanism–which allows government control in all companies with foreign investment–and through other administrative means. “The U.S. Government continues to support the development of the private sector in Belarus and its transition to a free market economy. With the advent of the Lukashenko regime, Belarusian authorities have pursued a generally hostile policy toward the private sector and have refused to initiate the basic economic reforms necessary to create a market-based economy. Most of the Belarusian economy remains in government hands. The government, in particular the presidential administration, exercises control over most enterprises in all sectors of the economy. In addition to driving away many major foreign investors–largely through establishment of a ‘Golden Share’ requirement, which allows government control in all companies with foreign investment–Belarus’ centralization and command approach to the economy has left only a trickle of U.S. Government and international assistance programs in this field. “The United States has encouraged Belarus to conclude and adhere to agreements with the International Monetary Fund (IMF) on macroeconomic stabilization and related reform measures, as well as to undertake increased privatization and to create a favorable climate for business and investment. “Because of the unpredictable and at times hostile environment for investors, the U.S. Government currently does not encourage U.S. companies to invest in Belarus. Belarus’ continuing problems with an opaque, arbitrary legal system, a confiscatory tax regime, cumbersome licensing system, price controls, and lack of an independent judiciary create a business environment not conducive to prosperous, profitable investment. In fact, several U.S. investors in Belarus have left, including the Ford Motor Company.” (My emphasis.) US Department of State, http://www.state.gov/r/pa/ei/bgn/5371.htm .